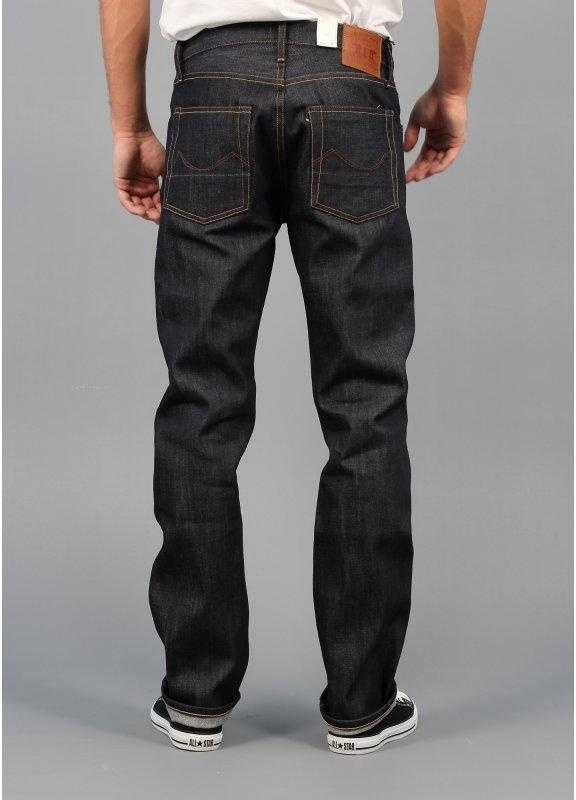 Raw denim (sometimes called denim raw) are jeans pants made with fabric which has not undergone any pre-washing process. As the fabric has not been pre-washed, the jeans made with raw denim is more rigid when you put them on for the first time. They soften after a few weeks of normal use, and with time, they earn marks that reflect your body and its use. 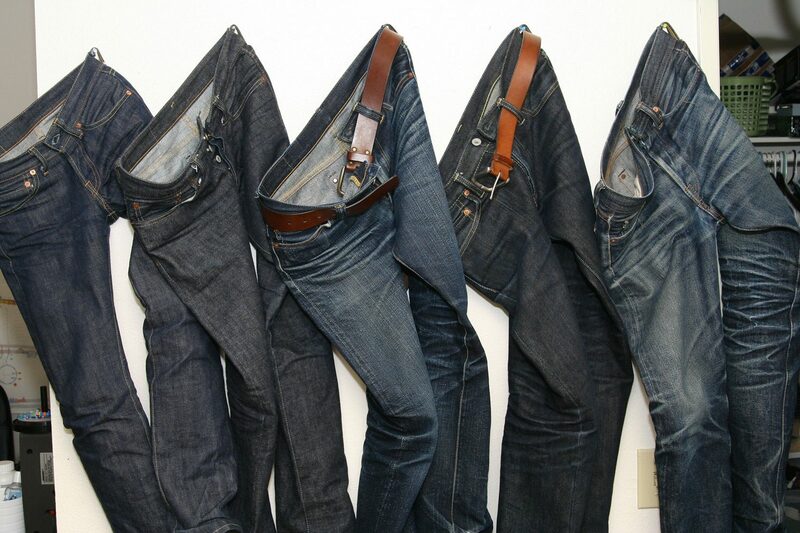 Jeans raw, or raw denim is denim in its raw state, and natural, without any washing or wear artificial. This fabric fades and picks up brands use custom, according to the behavior of each person. The jeans is more than an outfit, she is a cultural icon. The most valued are the old, or vintage, because they make more pants like in the old days. The details have changed, but above all, the blue has changed. This blue comes from the denim, the fabric used to make this piece of clothing with plenty of history. The denim used today is different from that of the past. The pants do not fade more, do not adapt to the body, do not get more beautiful with time. If you want a pair of jeans true to the rich legacy of the jeans, you can buy one made with jeans, raw denim, jeans, raw that you can the blue differential of the pants vintage. There is a movement, primarily in the United States, Europe and Japan, which seeks to rescue that which is most special in the jeans, your change is perennial. These brands and people looking to make and consume pants with details prior to the decade of 60, at which time the jeans ceased to be a symbol of work, and rebellion, and became part fashion. Continue reading to understand the fabric of the pants made “old-fashioned”. Before we start talking about the jeans raw, I want to explain better what is denim. Denim, or denim, is a cotton fabric with ligament twill that is known to have three warp yarns for weft. This fabric is the most common in the manufacture of denim jeans. Currently, it is estimated the world consumption of 3 billion metres per year. The main consumers of the United States, Europe and Japan, representing together more than 65% of world consumption. The interest in this tissue has a lot to do with its rich history. The jeans represented the hard work and inspired generations as an expression of rebellion. The denim lives on in the legend with part of the sails of the boat of Christopher Columbus. Live in reality, used by miners and cowboys in north american. The pants and clothes made with it are part of museums, antique shops, and inspire archaeological excavations. This story is long. I’m going to be brief for us to start talking about the jeans raw. Pay attention to this story because it is her that rises throughout the novel by the back of the jeans! Since the SEVENTEENTH century, a version of the denim was already used in the confection of pants and tapestries. According Gorguet-Ballesteros, researcher at the Fashion Museum of Paris, a fabric called serge de Nîmes existed in france in the early SEVENTEENTH century, and in England, at the end of the same century. At the same time there was also a fabric known in France as “nim”. These two were partly composed of wool. In Italy, there was another fabric known as “gean”, which was a mixture of cotton with wool and/or linen. Lynn Downey, historian, head of Levi’s says in The Short Story of Denim that no one knows for sure what was the evolution of these fabrics to the denim, a cotton twill as we know it today. The origin of the word denim also does not have an explanation right, but the hypothesis disclosed is that one of the possible sites of origin, just to name the fabric, which came from “de Nîmes”. Hence, denim, a corruption of the French. In the EIGHTEENTH century, there was already the denim made completely of cotton. It was used to make garments work, since it was valued for its durability and strength. Although of european origin, the fabric has reached proportions legendary with its history in the United States. The textile industries of the north-american started a small production at the end of the EIGHTEENTH century because they wanted to become independent from foreign producers (mainly the English). An immigrant visionary saw in the fabric a great potential and combined with an idea of using metal rivets to reinforce. At the turn of the 1900’s the Levi’s launched her pants, with the patent of the rivets and made a tremendous success among the dreamers rushing to California in search of gold. The durability of the pants also pleased the people involved in the construction of the communities that formed around this activity, and soon the piece became a symbol of hard work and the protestant ethic. Many years have passed since then, the jeans always present. In 1926, the pants also came to be called cowboy overalls, and has gained a connotation western that attracted the tourists from the east coast of the USA. After the Second World War, where it was worn by soldiers and sailors on foreign bases, the rest of the world had its first contact with the pants. And so, little by little, the durability of the denim was embraced, workwear for cowboys, for young people, and so on. And now, those who do not have a pair of jeans? As I said the denim is more than just a fabric! What is jeans (raw denim)? But it is there, what is this raw denim? Raw is English to raw, or raw so here he is called denim raw denim raw. The cotton fibers are transformed into yarn. The threads of the warp are dyed and wound in several coils. These wires are embedded with the threads of the weft in the weaving and become the go-to denim fabric. The denim that comes out of the loom is still raw, without any finishing or washing. And if we went back in time? If we go back in time, more or less up there in the 50’s and 60’s, the jeans did not receive any wash. The pants were made with the raw fabric. If we go back a little further in time, more or less in the decade of 40, the fabric was not the same pre-shrunk. The difference of these pants for today, is that the fabric maintained its original blue intact, in addition to characteristics uneven very interesting that are deleted in the processing, when it is cubic capacity, brushed, etc. 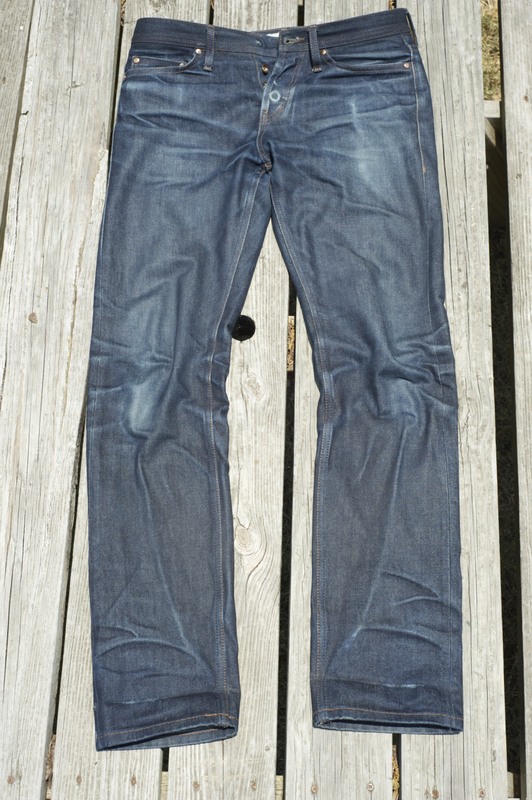 The standard of the jeans throughout blue, raw, existed more or less until the years 50. Until then, those who wore jeans were the workers, the miners, manual laborers, etc. It was in 1950 that the young people saw a symbol in those clothes marked by hard work and started to use the pants to distance himself from the patterns of the generation of their parents. To wear jeans was a rebellion. The cool thing was beat up until it faded, to show that it is even there for the good-mocismo. It was so shocking that pants came to be prohibited in schools. As the pants became more accepted it was being adapted to suit the diverse audience. When the jeans became the fashion, brands and the shops started selling the pre washed. The marks, which before appeared with the use, were ready. Wear jeans ceased to be a radical style to turn more of a style canned among others. Everything was planned to appear worn out and sell the concept of freedom. Exactly like with any musical movement, which is no longer present a danger and becomes a variant of what is in fashion. 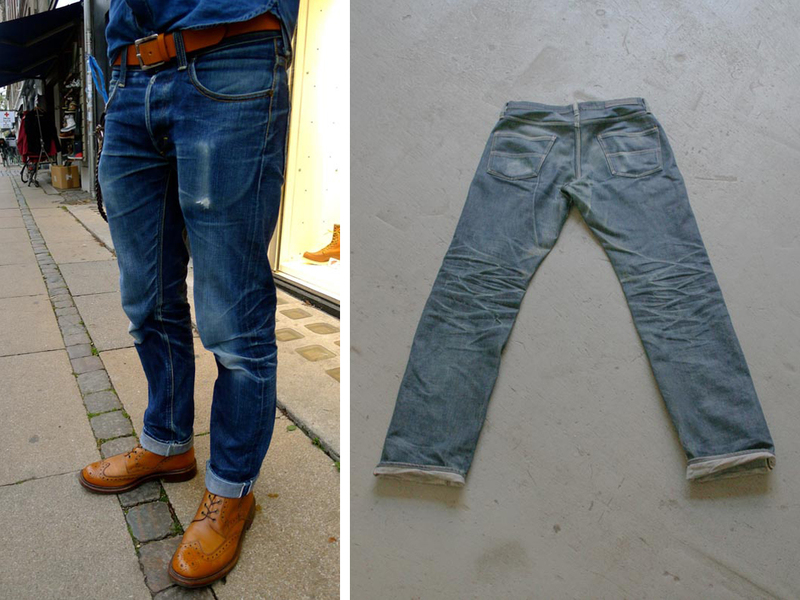 Then go forward, get a pair of pants with jeans that desbotasse started to give work. Before the jeans to be accepted by “society”, the pants were all rigid dark blue, made with the denim raw. 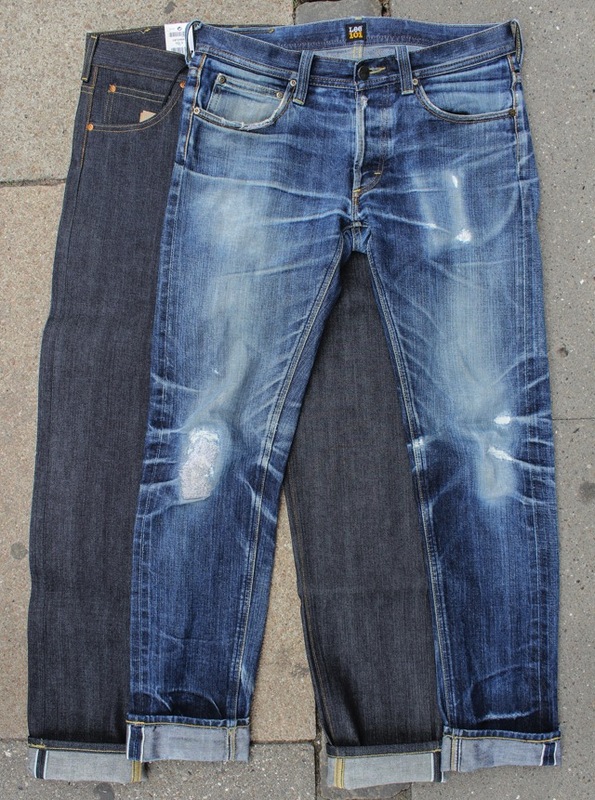 The Raw is the denim that is not washed after being dyed.There are several other characteristics that separate a jeans raw on the other, but this is the common point. They are not faded artificially, and does not undergo any treatment to stay with guy used. Fabric is hard and board the denim in its purest form. The more cool in jeans raw is that it fades with use and receive the mark of the human. The raw denim does not survive the history of our bodies, it is shaped by our touch. Harsh, but it is deadly. 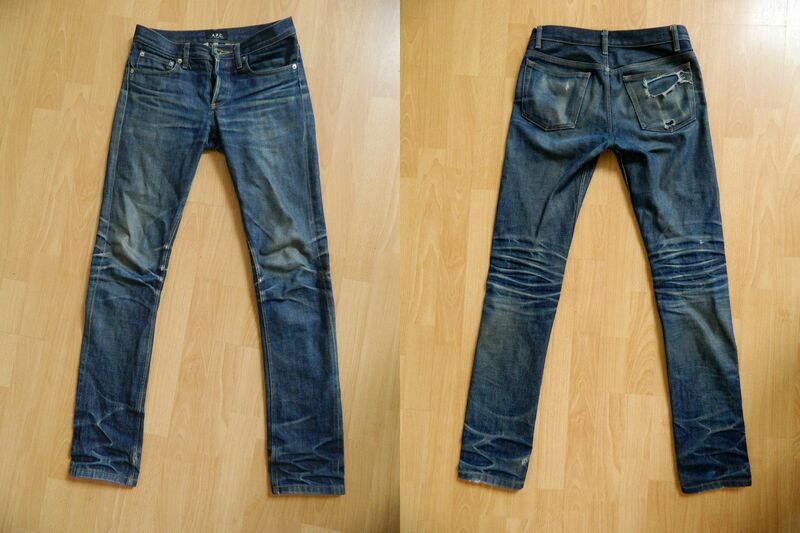 Different jeans pre washed, that has the marks without the life. A striking feature of any denim is that in its most common variation, only the wires of the warp are dyed with the dye indigo (indigo). The dye does not have affinity for cotton and, despite the surface absorb the color, its core remains white. The resistance of colour to friction is very low and it fades. When the denim is pre-washed, it loses its coloration by the same, controlled conditions, and then fades with less aggressiveness. This process, including, is highly polluting. 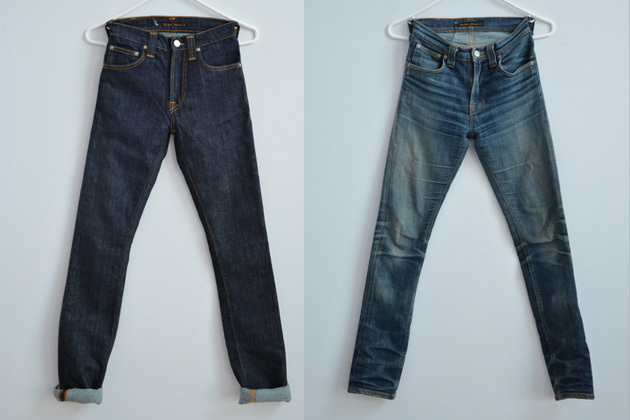 As the jeans raw not receive any treatment, loses the coloring more quickly. You will dress up the pants and move around. You put something in your pocket. Some places work, others don’t. You will falter here and there, so the color will not come out equal. 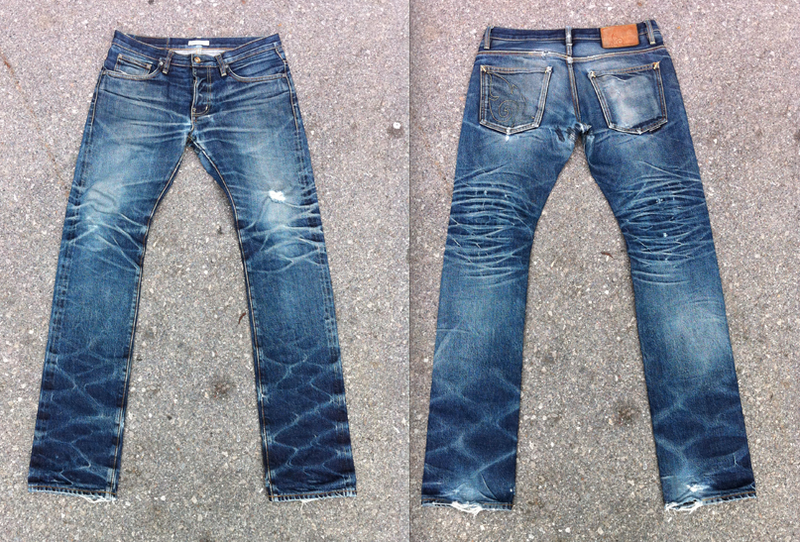 With time of use, the jeans made with denim raw receives their experiences. It is a blank canvas for your day-to-day. I have some pants that I use for a long time and stayed with fades sensational. Not all raw denim is the same. Some also do not fade, no way. Some are more interesting, others have wires and no grace. All of this has a lot to see with the type of dye, how the yarn is dyed, the tension of the wires, and many other details in the manufacturing process. The tags are each time more creative by mixing colors, dyes, and ways of weaving to create pants that fade a way even more different. The main benefit is the wear of the blue. Every step, every scratch, every little thing in your pocket will contribute with a brand. The indigo dark begins to give way to a stronger blue, and with time the white cotton will giving the guys to complete the contrast. Your pants is yours, unique, unique! This is the coolest part, and I’ll tell you more about it in this text about the passing of the years of my old jeans. The fabric not having any sandpaper, no wear and tear with sand, no washing. 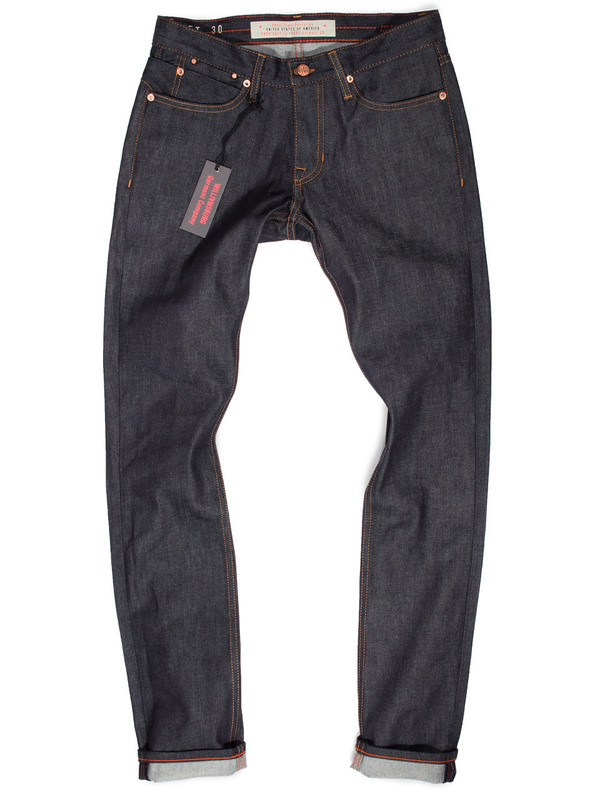 The jeans made with raw denim has not suffered any abrasion and still have your life intact. Do not be fooled by the initial rigidity. You can trust… to use that the pants will turn into a second skin. The jeans gross adapts to your body that is a beauty. When you start to like raw denim will want to use the same pants every day, literally. You will meet with a pair of pants only in the wardrobe, saving space and accumulating experiences! Do not be alarmed with the price. There are pants really very expensive, because of their uniqueness and whimsy, but a pair of raw, although more expensive, still affordable and with excellent durability. You will have it for much longer. 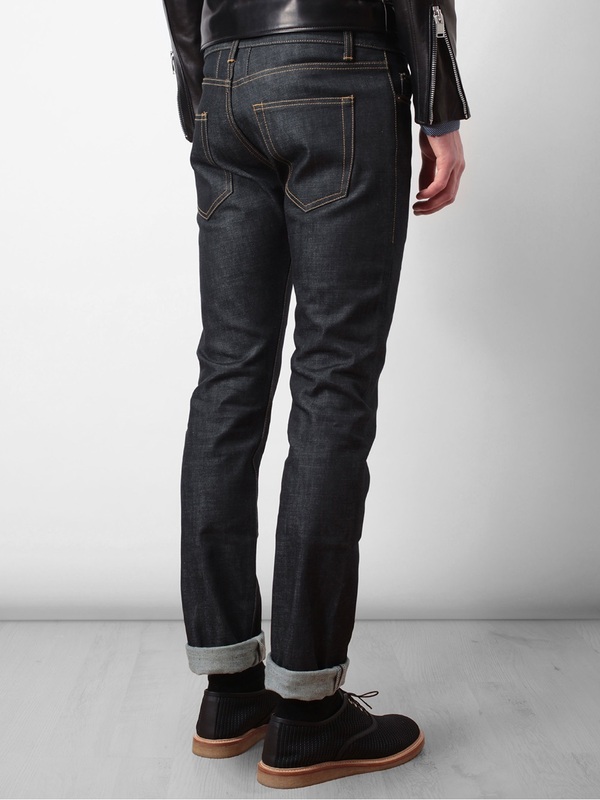 Raw denim done well is more strong, it keeps the trim and for a longer time and adapts to your body. It also evolves with time and becomes more beautiful after you used. Your behavior and the day-to-day are printed on the fabric and with the time you will have a pair of pants with a single blue that only time behind. When you reach this point, you’ll have the pants more comfortable in the world and you can begin to fade another. Liked the history of denim and how the denim raw rescues that made the jeans legal in the first place? 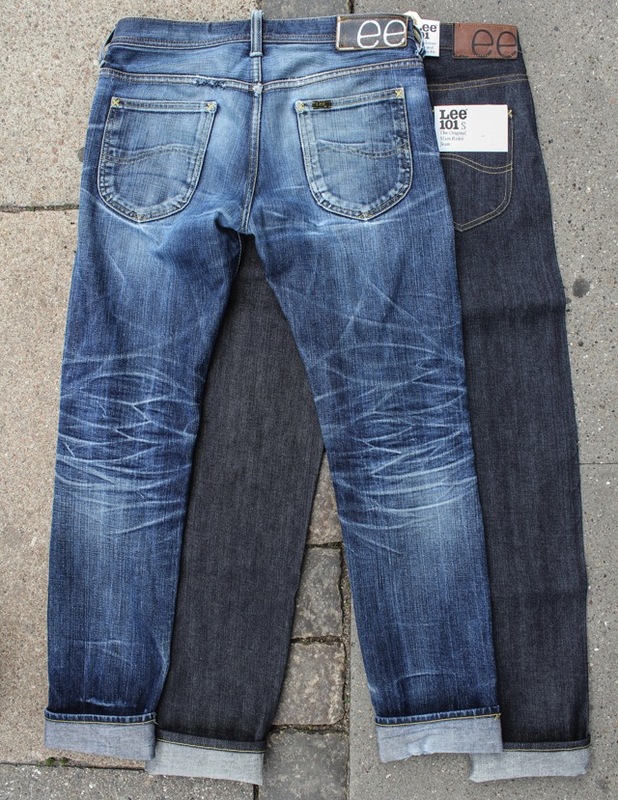 Then you read this other article to learn about the selvedge, the main detail that differentiates the best raw denim. And look, as I know that buying jeans online out of the country is complicated, I seek opportunities in my travels to bring pants that are made with selvedge denim from the best brands in the world, at a price buddy for you. Then, check whether you have something in your size there in the store’s online blog! Susie So So: Feeling Foxy but not in Raw Denim Jeans. Anybody here wear raw denim?